There is one common electricity transmission system in Iceland, operated by Iceland’s Transmission System Operator (TSO). The Icelandic TSO, Landsnet, is world-renown for its secure electricity supply to its customers. After 40 years of successful services to energy intensive industries, Iceland’s electricity transmission system and infrastructure is highly modern and extremely reliable. This fact has been confirmed in numerous international reports, where Iceland’s electricity supply is ranked among world’s most secure (see for example IMD’s and WEF’s World Competitiveness reports). All power stations with a capacity of 7 MW and higher are connected to the grid. Currently, power is fed into the transmission system at 19 locations around Iceland. The transmission system supplies electricity to distribution system operators (and to power-intensive industries) at more than sixty locations around the country. The individual distributors then transmit the electricity onwards to consumers via their own transmission networks. The power-flow can be seen in real time on the TSO’s website (Landsnet). The transmission lines that service the most energy intensive industrial plants have highest operating voltage of 220 kV. However, the most recently built transmission lines can be operated at 420 kV. Iceland’s market for power generation and supply is in accordance with rules of the European Economic Area (EEA). The EEA is based on an economic multinational legally binding convention between the European Union (EU) and Iceland, Norway, and Lichtenstein. This includes the rules on the electricity market. Thus, Icelandic regulation on distribution and sales of electricity are in compliance with what applies within the EU. 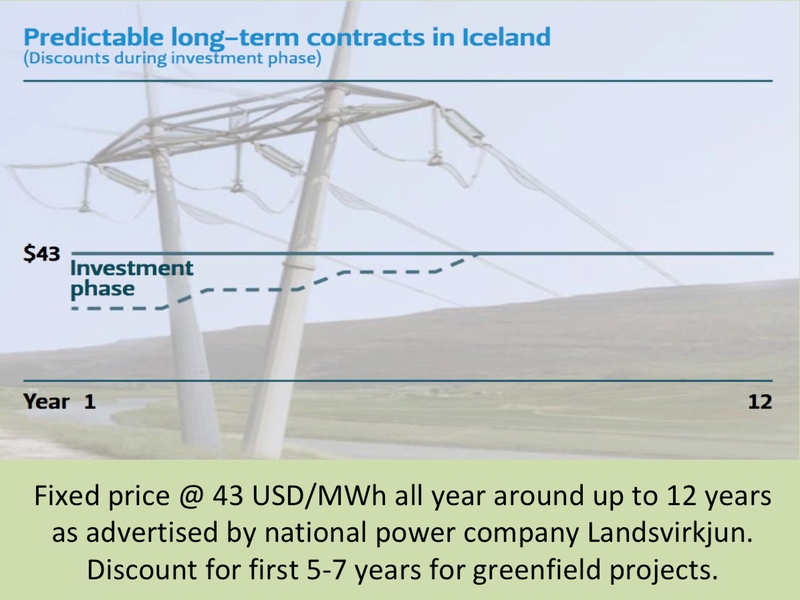 Just as in the EU, transmission, distribution and sales of electricity in Iceland is subject to concession arrangements and specific regulatory oversight. The National Energy Authority, NEA (Orkustofnun), is the public authority in Iceland responsible for surveying electricity pricing, quality and security of supply. Compared to other countries, whether in the EEA, EU or OECD, electricity prices in Iceland are very low. This applies both to industries and the public and is the result of abundant low-cost hydro- and geothermal power in the country. Due to rising electricity prices in Europe the price gap has been widening, making Icelandic electricity even more competitive than before. This development is making it more feasible to connect Iceland and Europe with an electric submarine cable. This option is currently being considered by the Icelandic National Power Company (Landsvirkjun) and the Icelandic TSO (Landsnet). The Icelandic TSO ››› Read more about electricity transmission Iceland and the Icelandic TSO. New transmission projects ››› The highly secure Icelandic grid is becoming even stronger. HVDC subsea link ››› Information on the possible electric cable between Iceland and Europe. Note also our information about the Icelandic electricity market.